Brendan Clarke; Ger O'Brien, Sean Hoare, Lee Desmond, Ian Bermingham; Gre Bolger (Killian Brennan 76), Sam Verdon (Jamie McGrath 67); Conan Byrne, James Chambers, Aaron Greene (Jack Bayly 83); Morgan Langley. Ger Doherty; Rob Cornwall, Ryan McBride, Aaron Barry, Dean Jarvis; Barry McNamee; Stephen Dooley (Ronan Curtis 87), Patrick McEleney, Aaron McEneff, Cillian Morrison; Ciaran O'Connor (Mark Quigley 80). 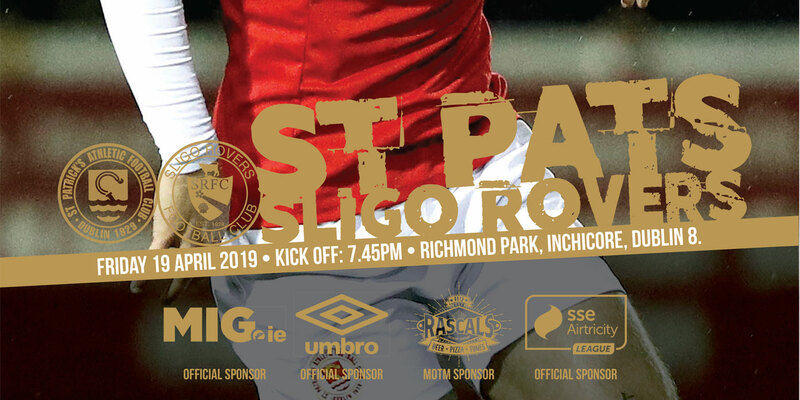 St. Patrick's Athletic expect to confirm today that Chris Forrester has joined Peterborough United after their Europa League qualification hopes suffered another blow against 10-man Derry at Richmond Park on Friday night. English League One side for an undisclosed fee. 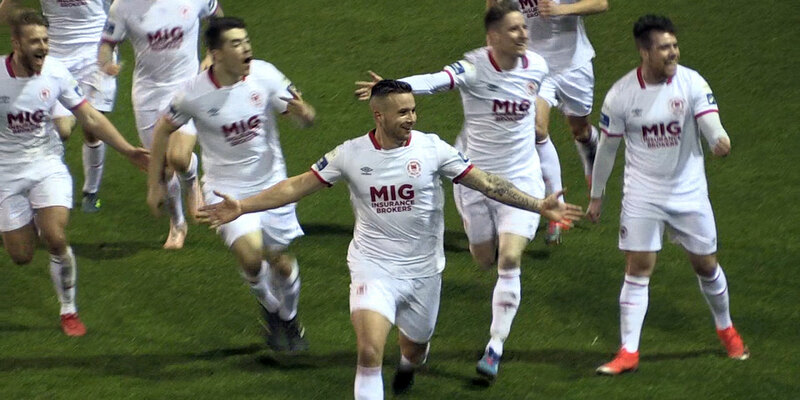 Trailing to Ciaran O'Connor's early strike, Conan Byrne should have earned out-of-sorts St Patrick's a point against a Derry side who played for over half the game with ten men, but blazed an 86th minute penalty over the bar. 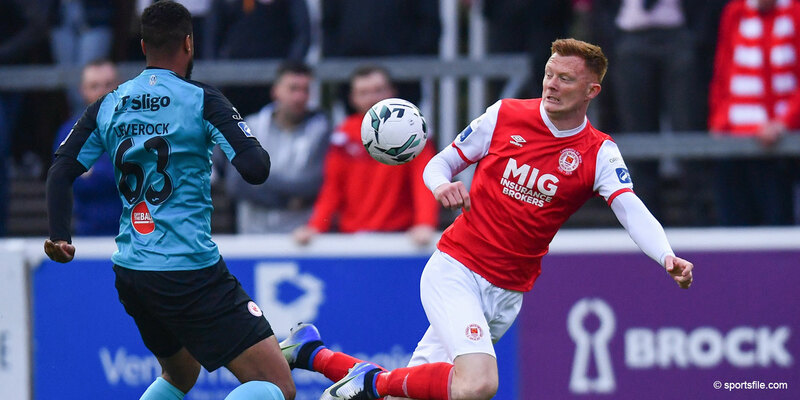 The win is a big boost to relegation-threatened Derry who jump three places up the table to seventh overnight. Eager to bounce back from damaging defeats in the league and cup, St Patrick's boss Liam Buckley made changes to his starting eleven with both Sam Verdon and Morgan Langley making their first league starts as Killian Brennan was dropped to the bench. In a game that was slow to come to life the first action of note brought what would proved the only goal as Derry caught the home side cold at the back. Stephen Dooley was given a little too much freedom on the right to cross where the negligently marked O'Connor scored with a simple header. St. Patrick's continued to struggle to really get into the game and sloppiness in midfield was close to presenting Derry with a second goal on 31 minutes. A stray pass inside from Byrne never reached Greg Bolger. Patrick McEleney pounced on the loose ball to race forward, bamboozle a defender before shooting off the outside of Brendan Clarke's left-hand post. St. Patrick's didn't really threaten until the 41st minute when Ian Bermingham was over the top with a stinging drive from distance. But the game looked like it might turn the Inchicore side's way on 43 minutes when Derry midfielder Cillian Morrison, booked earlier for a foul on James Chambers, took down St. Patrick's skipper on the stand side and was shown a second yellow, followed by a red by referee Tomas Connolly. There was more purpose to St. Patrick's on the resumption with Chambers drilling wide inside a minutes of the restart. The midfielder was then over the bar with a header from O'Brien's cross just past the hour mark before Langley really worked Ger Doherty in the Derry goal for the first time in the match on 63 minutes. Aaron Greene did well to pull the ball back for the Hawaiian whose drilled shot was gathered at the second attempt by the Derry keeper. Langley then just failed to connect with an O'Brien cross in the 81st minute before it clearly proved it wasn't to be St. Patrick's night. A foul by Derry captain Ryan McBride on Langley gave Pat's the chance to level from the penalty spot on 86 minutes, but Byrne sent his kick over the bar for a dreadful miss.